Caraway is an herb that has been found in ancient foods, all the way to present times. The name comes from the Arabic word for the seed: karawya. Caraway has a sweet flavorful taste, making it a lovely addition to rich dishes. It is said to soothe indigestion and help with gas and cramping relief. Caraway needs to be grown in rich soil and in full sun. To sow, do so outside in either late spring or early in the autumn. Caraway does not like to be transplanted, so plant the seeds in their permanent home. Once germinated, thin plants to at least 8 inches apart for the strongest plants. Gather leaves to eat when young. They are used as a salad herb. Dried, they can be used throughout the year. Seeds are sprinkled over rich dishes to help aid digestion. Caraway is an excellent herb for cooking with apples, and with cheeses. Add the seeds to your bread and other baked goods. Caraway seeds are easy to store. Dry the seed heads, by hanging them upside down either with a bag over them or a container underneath to catch the falling seeds as they dry. The dried seeds can then be stored in an airtight container until needed. Caraway has an aromatic, sweet taste, that fills your mouth with flavor when you bite into it. It is a naturally sweet herb, with a licorice flavor, good for adding to any dish that needs a lift. Rich foods that may give you indigestion can include caraway in either their preparation or as an after-dinner treat, to counteract the intestinal upset that sometimes results in overindulging. When making sauerkraut, layer the cabbage with a light sprinkling of caraway seeds for an interesting twist in the finished product. 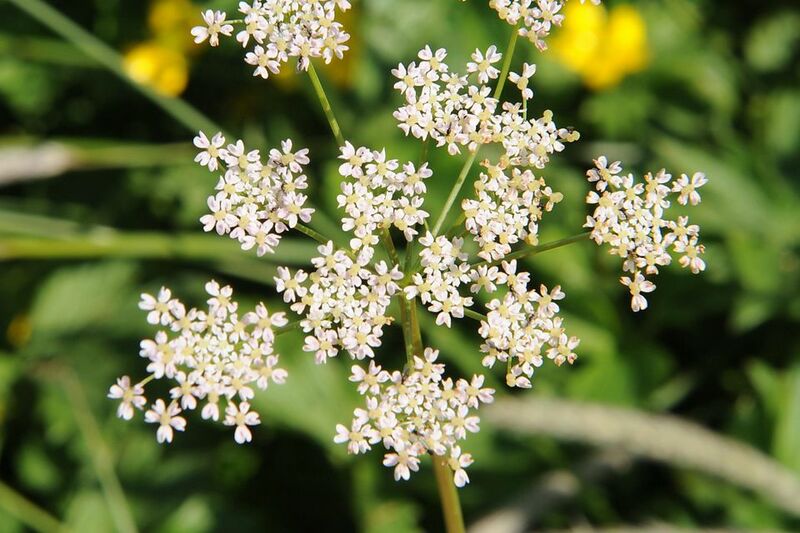 The roots of the caraway plant can be harvested and used just as you would any root vegetable. Add them to your roast beef or pork dishes. They are also tasty when added to a pan of autumn vegetables that is simply roasted in the oven. The leaf of caraway is also tasty. Use them fresh as a salad herb, and dry them with little to no heat, for a lovely addition to your soups throughout the winter. Leaves can be harvested all summer long, without bothering the overall growth of the herb. Caraway is a delicious herb and one that is easy to grow. It is safe for children and can easily be grown indoors, as long as there is sufficient light.